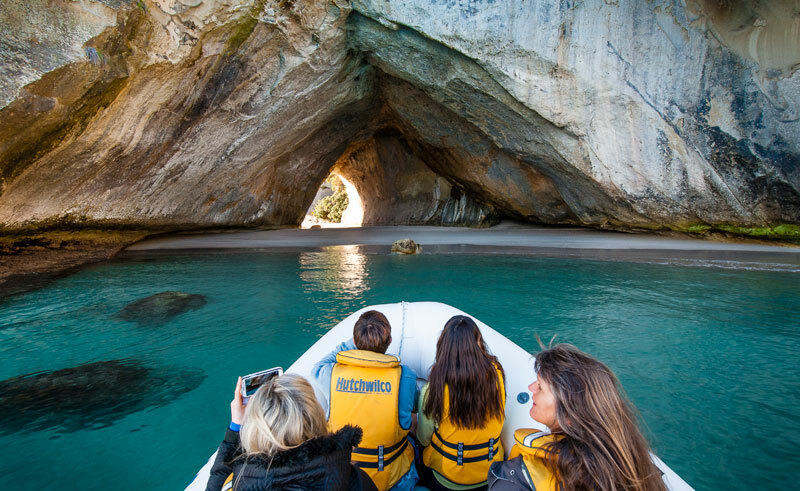 This exhilarating boat trip takes you into the spectacular coastal islands of the Marine Reserve and the world-famous Cathedral Cove. 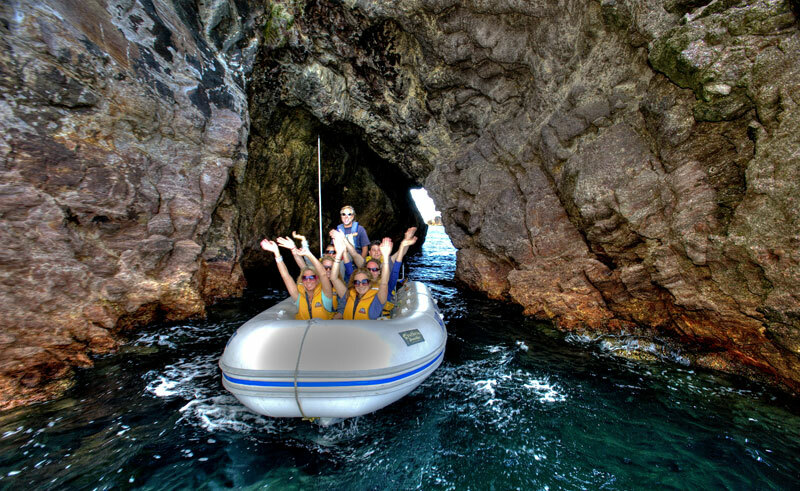 Board the Hahei Explorer directly from Hahei beach and travel up to 14 kms. This wonderful trip takes you into the spectacular marine reserve, reefs, massive sea caves and bays, including the world famous Cathedral Cove. The magnificence of this natural Volcanic scenery is legendary and the approach by sea, combined with an insightful yet relaxed commentary further enhances the experience. 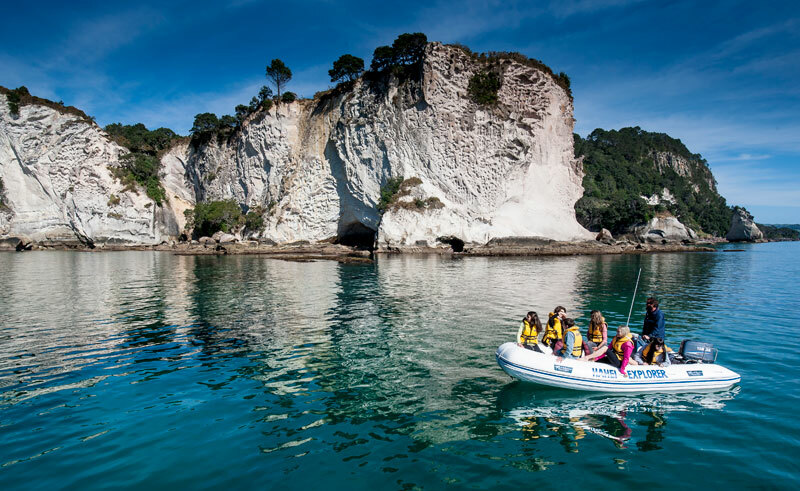 The Hahei Explorer is the original Cathedral Cove boat tour to Hahei’s marine reserve, stunning volcanic coastline and magnificent sea caves. This is a photographer’s dream with much of the stunning coastline used in the filming of Prince Caspian, the Narnia movie.